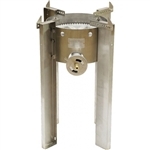 The Blichmann Floor Standing Burner is one of the most popular styles of burners, and it is beloved for its sturdy base and durable construction. Now, with the Blichmann Floor Standing Burner Leg Extensions from MoreBeer!, you can add even more height to your existing brew setup. 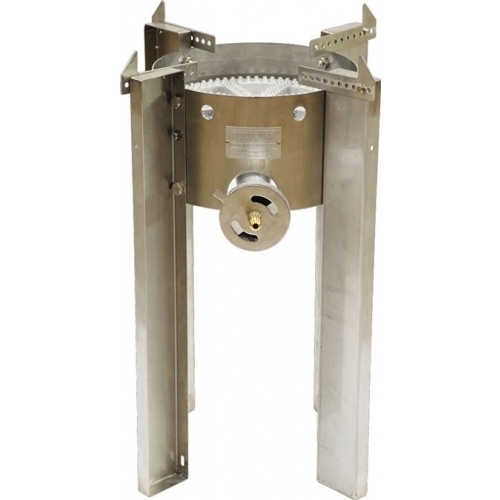 These leg extensions on the floor will add an extra 24 inches in height to your burner, but because they’re made of durable stainless steel, they won’t compromise the durability of your setup. Blichmann’s leg extensions are ideal for anyone who wants to raise their burner in order to use gravity to drain the brew into a carboy or fermenter. If your kettle contains an attached ball valve, all you’ll have to do is simply attach the leg extensions and twist the valve open to drain it into a separate container. Stop struggling to lift the heavy kettle from the burner and add these reliable Blichmann leg extensions to your floor standing burner. Note - Burner not included.